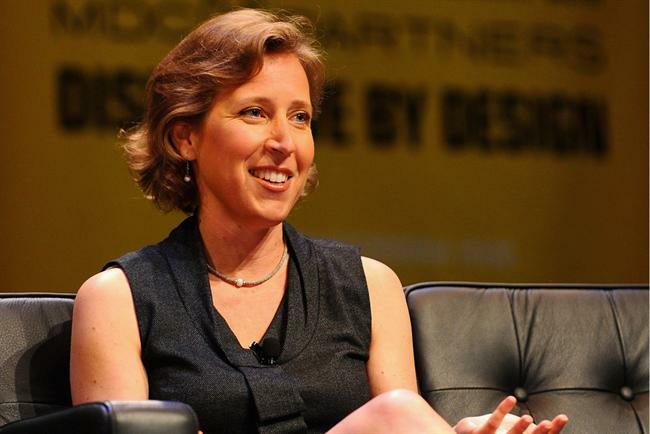 Google's YouTube is in the early stages of developing an advertising-free subscription service for online video, according to chief executive Susan Wojcicki. Speaking at Re/code’s Code/Mobile conference, Wojcicki is reported to have said: "YouTube right now is ad-supported, which is great because it has enabled us to scale to a billion users, but there are going to be cases where people are going to say, ‘I don’t want to see the ads, or I want to have a different experience’." Wojcicki compared the idea to apps that let users "either choose ads, or pay a fee, which is an interesting model. … We’re thinking about how to give users options." In 2013, YouTube let individual content owners sell subscriptions, but it has done little to promote that option since then. Wojcicki said she was interested in pursuing other subscription models as well. Wojcicki, who used to run Google’s advertising and analytics team before becoming YouTube’s CEO in February 2013, said: "There are always new ad platforms coming out, but at the end of the day people say, I’m going to go to the one that generates the most revenue for me." "We’ve been thinking about other ways it might make sense for us [at YouTube]. We’re early in that process, but if you look at media over time, most of them have both ads and subscription services." The chief executive’s comments follow last week's Campaign interview with Robert Kyncl, the head of content and business operations at YouTube, talking about why he thinks advertisers are flocking to the video platform. He said: "Our revenue has been growing 50 per cent year on year. So, clearly, advertisers are embracing YouTube with a very strong bear hug." "We have all the top advertisers, we have a lot of small businesses, and I think people are getting it and are increasingly investing in it." Last month, Facebook’s regional director in UK and Ireland, Steve Hatch, said the social media network was gunning for YouTube’s dominance in the video arena, spurred on by the success of the ALS Icebucket challenge in the summer. He told Campaign: "Right now, if you’re thinking digital video, you’re thinking YouTube. But the perception and reality [of consumer usage] are really far apart. Facebook is right at the heart of video." Facebook’s video views increased by 50 per cent during the summer, which according to Hatch is testament to a "seismic shift in video viewing", following the extension of broadband and further rise of mobile, which means that people are moving "beyond executional search to pure discovery". To demonstrate the point, he recalled a video created by Beyoncé at the end of August. The pop star posted the video on both Facebook and YouTube. It contained behind-the-scenes footage of her live performance at the MTV Video Music Awards. Hatch said: "In the first four hours, Facebook users watched the video 2.4 million times as Beyoncé’s 64 million fans quickly shared it with their friends. "On YouTube, the same four-minute clip managed only a few thousand views during the same time period." More on the battle between Facebook and YouTube around online video and for an online poll here. Can Facebook challenge YouTube in video arena?